This auditorium is all that remains of the original Parker High School in Greenville. The school opened in 1923, a year after the founding of the Parker School District. The school district consisted of 14 communities, mostly mill villages, and was born of the need for a central school that children of mill workers could attend after graduating from elementary school. Most mill villages provided a school for younger children, while older students either had to pay a fee and travel to the nearest high school or work in the mills with their parents. The new school district was met with opposition and even contested in South Carolina’s Supreme Court. Mill executives argued that the nearest high school, Greenville High School, was overcrowded, charged tuition, and provided no transportation. They offered to pay for the new high school themselves and eventually persevered. Parker High School, along with the school district, was named for the president and co-founder of Monaghan Mill, Thomas Parker. Parker had developed a community around Monaghan Mill that was considered a model of paternalism. He included not just a church and school, but also medical facilities, organized recreation, and workshops for employees on subjects of interest. He organized a Young Men’s Christian Association (YMCA) in 1904 and a Young Women’s Christian Association (YWCA) in 1907. Parker, who had acquired several other mills in the state, hired University of South Carolina YMCA director Pete Hollis to run the Y facilities at Monaghan Mill. Hollis introduced both basketball and Boy Scouts to South Carolina. He eventually became the director of recreation for all of Parker’s mills. Hollis also oversaw the mill’s elementary school, and his performance there later earned him the position of superintendent for the entire Parker School District. Parker High School quickly earned a reputation for its rigorous academic standards. 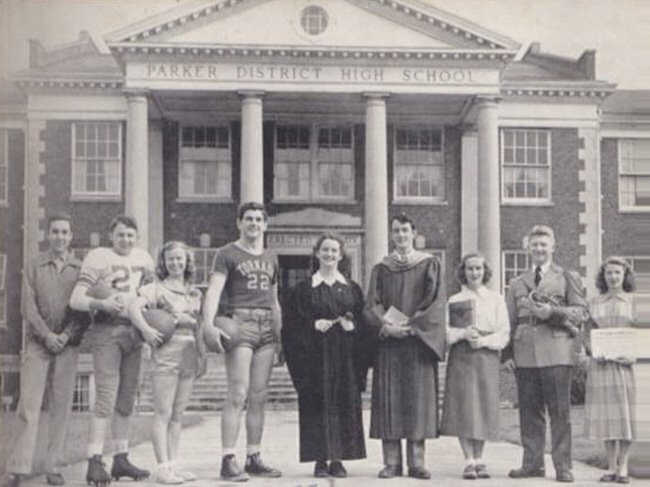 Though a public school, Parker High School served only white students until 1971, when all South Carolina schools were forced to desegregate. The school’s auditorium, seen here, was built in 1938 as a project of the Works Progress Administration (WPA), a work relief program established in 1935 by President Roosevelt as part of the New Deal. When Parker High School’s original building was torn down to make way for new structures in the 1960s, the auditorium was spared. Parker High School closed in 1985 due to low enrollment. However, its legacy remains one of excellence. The school was named a Top 10 School in the Nation by the National Education Association five times – in 1955, 1957, 1960, 1966, and 1971. Its marching band also won several prestigious awards on local, state, and national levels and was frequently referred to as the “Award-winning Parker High School Band.” After the high school closed, the campus housed a middle school; that school closed in 2004. Today the school is occupied by the Legacy Charter School, and plans are in progress for a Parker High School museum on campus. Parker High School lends her might. To the purple and the gold. Still her sheltering arms entwine. And the Purple and the Gold. The Parker High School Auditorium is an outstanding example of Works Progress Administration (WPA) designed educational architecture of the late 1930s. The building was constructed in 1938 in the Classical Revival style at a cost of $50,000 and was designed to be fireproof. The auditorium was part of a $285,000 WPA building project for the school that also included a gymnasium, an athletic field, a vocational building, a cafeteria and library, and an automobile shop. According to Greenville press accounts, the Parker High School building program was the largest WPA school project in South Carolina. The other buildings have either been torn down or altered to the extent that they no longer retain their integrity. The auditorium is the best and most-intact building from the massive WPA building project on the Parker campus. It is a 7500 square foot rectangular brick building with a front gabled roof. A classroom building was added to the rear in 1964. 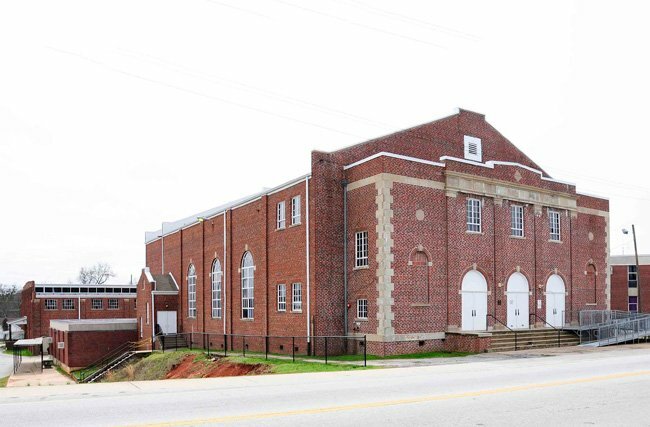 The Parker High School Auditorium is also significant for its association with the textile industry of Greenville. The auditorium stood as the center of the Parker School District, which served those who lived in the mill villages of the city and vicinity from 1922 to 1952.